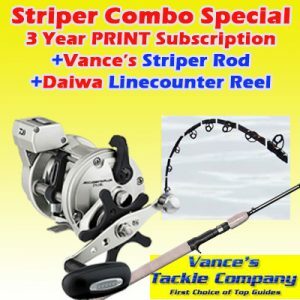 Every striper angler is excited by the prospect of catching a fish over 30 pounds, but most will never catch a fish over 40 pounds, let alone one over 50 pounds. Captain Billy Driessen accomplished the impressive feet of catching a giant 57.10 lb. striped bass on the Sacramento River on April 7 around 6:30 p.m. Even better, he carefully released the leviathan back into the river to fight yet another day. As far as I know, this is the largest striped bass caught so far this year in the state and may be the largest taken in the U.S. this year. “She charged the sub-surface bait roughly 15’ away from the boat, creating a wake like a Great White Shark, and by the time she exploded on the bait she was at the side of the boat leaving 4 grown men squealing like school girls,” he said. It took him about ten minutes to land the fish even with the custom gear he used. “It is definitely the best fighting striper I’ve landed. At first, I thought it was another 30 pounder. Nobody else wanted to take the rod, so I fought it. We no idea what had until it was in net and we tried to lift it up,” Driessen stated. “I can promise you it’s not the biggest fish I’ve ever hooked, but the others got off,” he disclosed. “After the culmination of 7 months straight chasing trophy stripers and having one of the greatest seasons ever, I can remember it was at that point I realized we had stumbled on something pretty special. The girth of the fish ended up being nearly 32” around, making her wider than the length of the average striper,” he said. “I was trying to hook this fish for six months before another guy got it. These stripers are resident fish in the river, but they move around a lot. I caught this fish in a mile long hole 30 feet deep,” he said. 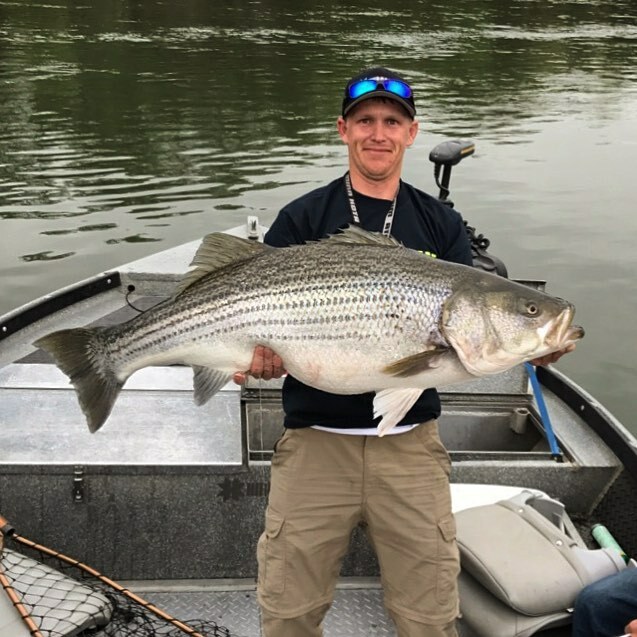 Before his latest trophy, Driesen’s biggest striper was a 52 pounder he caught and released in 2014. 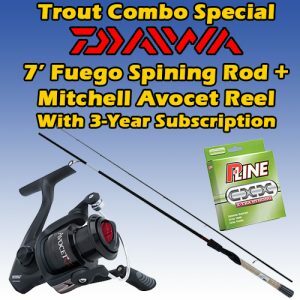 What’s the secret to catching these big fish “To target big stripers, a shallow feeding flat 3 to 8 feet deep with structure and deep later access to retreat to is the answer to the riddle. When hungry, they move out from their deep water homes behind snags to shallow water to feed. After stuffing their belly, they go home to deep water,” he explained. Driessen illustrates the exceptional care that he uses when releasing fish to make sure that the fish shoots back into its lair. He said the adrenalin of the fight produces lactic acid, making the striper’s tail turn pure white. “I won’t release the striper until the tail has turned opaque or clear, its natural color,” he said. “When I take the fish out of the box and put in the water- you better have already taken your pictures because the fish can’t get out of my hands fast enough,” he noted. The reason why the fishing this fall and winter was so good is because striper fishing is most productive in drought or lower water years. During high water years, the fishing is tougher because the river is blown out for much of the time. He believes there are more large stripers than anglers think there are, but the big fish are notoriously smart and tough to hook and you can’t use the same techniques for them used 50 years ago. When he isn’t pursuing trophy stripers, Driessen guides for salmon, stripers, sturgeon and shad on the Sacramento. He emphasizes that he doesn’t guide for trophy stripers, but only fishes with trusted friends who won’t disclose his spots to others. “If I take others to my favorite spots, they will be sure to come back,” he noted. When drought years come, Driessen will go out every day he can. “It’s way past a hobby – it’s become a borderline obsession,” he quipped. “A trophy striper will eat anything that moves past its face. When I hooked up with Brock Hiroshima of Hiroshima Customs, I told him I wanted to do something nobody had never done; throw a 13 inch glide bait,,” he said. 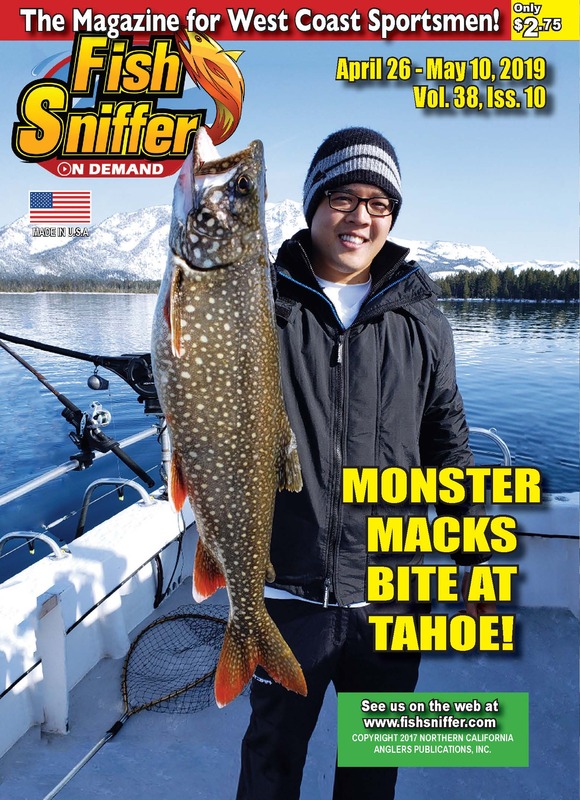 “Nobody had ever thought of throwing this bait that weighs 11 ounces, an absolute monstrosity. Two years ago, I met up with Miles Boyd of Elite Sticks and Anthony Crawford. The three of us sat down and figured out how to build these rods that cast baits over 9 ounces,” he explained. Driessen fishes the Sacramento River from the Red Bluff Diversion Dam to Colusa. “I’m fishing for one bite all day. If and when that bite comes, you can guarantee it wil be the fish of your dreams, but that has been a rarity over the past 7 months,” Driessen explained. When I interviewed Driessen, a Butte Creek area resident, he said had just had kidney surgery the day before and was recovering. The 29-year old, who fished with his dad on Lake Shastina from the time he could hold a fishing rod in his hand, has also been battling esophageal cancer for 4 years. But he plans to be back fishing as soon as he can. “I hope to be back on the river fishing in another two weeks,” he forecasted.